1. Reduce production and transcription costs. 2. Make your videos ADA (508) compliant and accessible. 3. Boost Video SEO (Captions become part of the JSON-LD – Auto Video SEO). 4. Better engagement with your audience, when videos are played on mute. 1. Navigate to assets and select the video you want to auto transcribe. 3. Depending on the length of the video processes, Within seconds to a few minutes, you will receive an email notification with a link directing you to the auto-transcription center. 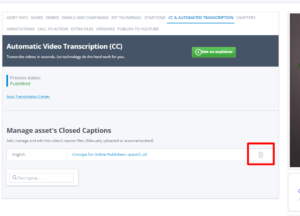 Unpublished -> Automated Captions were removed but can be reviewed and published again. Click “Edit & Publish” to continue to the Cincopa captions editor. 5. 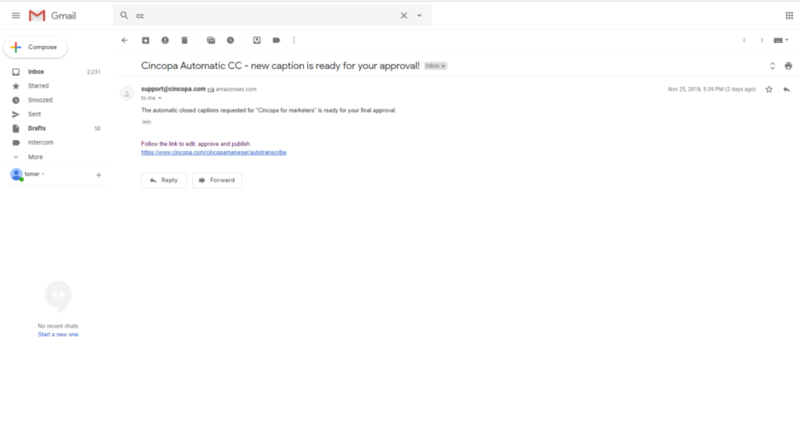 Use the captions editor to review and edit the captions if needed and once you’re done, Click “Publish Closed Captions” to set it live. Note: If you delete an automatically generated closed-caption it won’t be lost, you will be able to start offering from step 4, re-edit and publish it again. Want to learn more? Get in touch with a Cincopa expert.